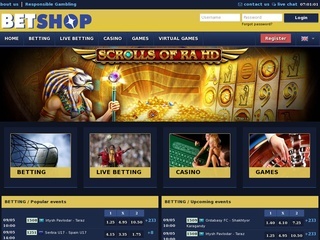 The online bookmaker Betshop was established in 1996. They proud themselves as one of the fastest growing betting companies in Europe. The owner of the website is GameMaster NV. The registration and the license that allow the company to work is from Curacao. The license number is No. 8048/JAZ of November 1996 No. 41 granted to Antillephone N.V Curacao Netherlands Antilles. GameMaster NV itself is a company registered in the Netherlands Antilles with a unique registration number 94787 (0). This online bookie is quite popular among bettors and has high scores in most reviews. The reason is the three principles that the company put into its core that are: clarity, security, and simplicity. Despite its early foundation and vast experience in the gambling branch, this bookmaker hasn’t gained much popularity compared to other young bookies. However, Betshop should not be considered a bad choice and quite the opposite. The company survived long enough to prove its dedicated audience that its service is good enough for the traditional bettor. Betshop is focused more on its loyal and routine gamblers than anything else. The online bookmaker offers bets on sports, casino, games and virtual games. There are 14 sports included in the portfolio of the company such as football or soccer, basketball, tennis, different motorsports, golf, ice hockey, etc. The casino of Pet shops offers a huge range of opportunities. The most popular and well-known games are here. These are roulette (American roulette, bonus roulette, easy roulette, etc. ), slots, video poker, blackjack, poker and many other games. Some are “Red Dragon Wild”, “Basic Instinct”, 100xPlay, 10x Play, Double Joker, Jacks or Better, Blackjack Reno, Baccarat and many others. Live betting is under support as well as statistics and lives update about the sports events. The option includes all alternatives and options for live betting that allow all the bettors to take a maximum advantage of the betting. Live streaming of the sports events is not available. From the betting company assure the information they provide is with updates recently enough. That is important so anyone who wants to bet can do it in real time and will inform about all the specifics of the sports event at a certain moment. The online sports bookmaker offers very good odds that are around and above average for the market. The odds offered are main, under/over, go-ngl, handicap, ht/ft, correct score, 1h correct score, 1h, 2h, odd even, total goals. Also home, away, who scores, 1st goal minute, combo, combo hit, drawn bet, combo ht gg/ng, win to nil. There are an exact specification and requirements for the amount of money easy bettor can bet. The minimum bet is 0.5 EUR, and there is not the limitation for the maximum bet. The maximum wins per week are up to 30 000 EUR and 15 000 EUR per a single bet. These numbers can change depending on the currency at a relevant time. In a case of an event that is drawing the winning bet is deleted by the number of the participants. It is a normal procedure that guarantees all sides equal bonuses. Sometimes the online bookie does not accept bets and payments when they are above 100 EUR or USD and when there isn’t not previously a request on the phone with the customer service center. A great benefit to those who bet online is that their bet are free of any tax. Following their principles and views, the people in Betshop use a special SSL server with 128 encryption and the latest firewall technologies. This sort of investment in security is the only way according the online bookmaker to keep the trust of all of the clients. Also to guarantee that their money and bets are as secure and protected as they can be. There are several ways to connect the people who support the website – live chat, phone and three emails. However, language preferences and specifications for the contacts are not mentioned by the online bookmaker. However, you should mind that the website operates in several different languages, which can be viewed in the table. 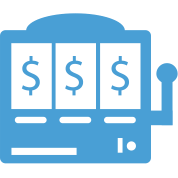 Deposits can be made in all the currencies which the bookmaker works and you can easily check them in the table. Once the bettor chooses, a currency he cannot change it and will make deposits and will take withdraws only in the same currency. Methods to make deposits are various and anyone should be able to find the desired one. One specification is that when making deposits with a credit card the client may not send a copy and a fax of his/her ID. However When he/she wants to withdraw these documents are the must and before sending then withdraw the money isn’t possible. Deposits are limited only to the amount of money in the account of the client. The minimum amount of money needed to make a deposit is 35 GBP and money bookers wallet and 50 GBP when sending the money via bank transfer. The maximum deposit varies from 3000 to 10 000 GBP according to the method used for the deposit. Withdraw can only be after all payments have been cleared. The methods that can be used to do it are the same as for the deposits and the time needed for the net transaction, or another is different in the different cases. 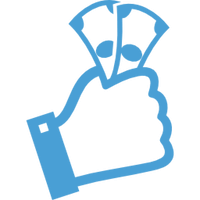 The bookmaker offers match welcome bonus 100% which is equivalent of 100 EUR bonus (100 EUR deposit, get 100 EUR extra). No bonuses are offered for Betshop casino games nor for loyal clients at the moment. However, the bookmaker saves the right to change that and to surprise its clients with bonuses for loyal clients and other ways to reward players who deposit and bet in the website. One option to do that is by personalizing the bonuses and showing them individually to every person who bet in this website. Which championship do you bet? All bookmakers endorsed by allonlinebookmakers.com are legal, however their license varies per country. For any questions or inconsistencies, contact us in Facebook.